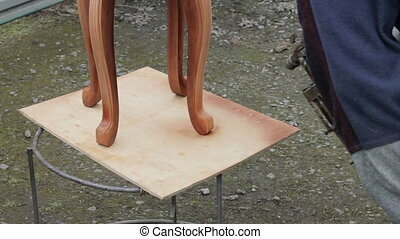 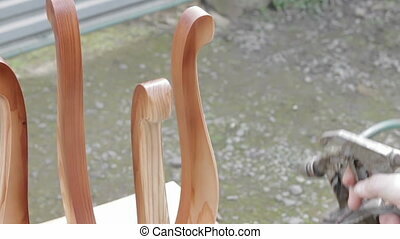 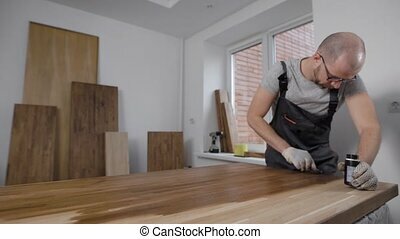 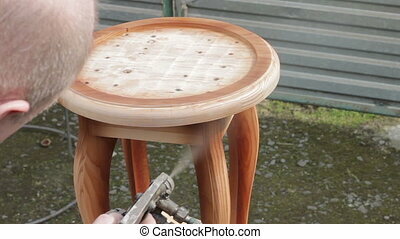 Carpenter is covering stool by lacquer. 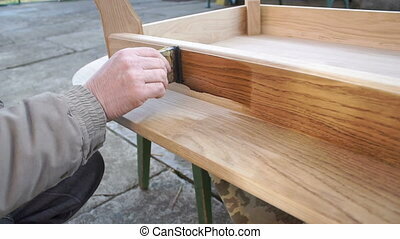 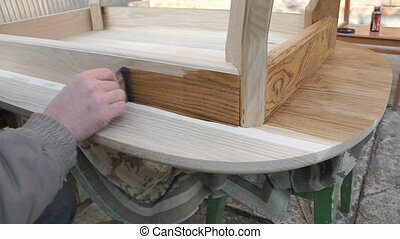 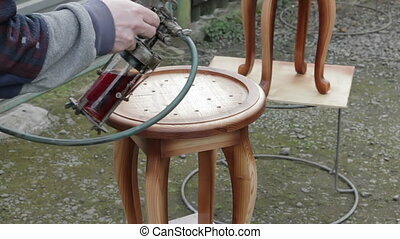 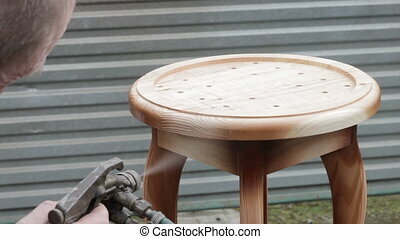 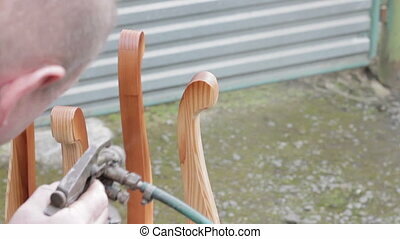 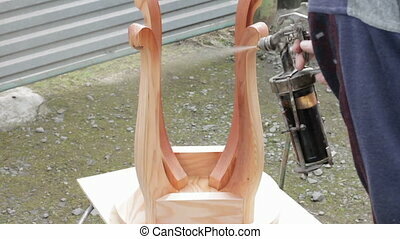 furniture varnishing using sprayer (pulverizer). 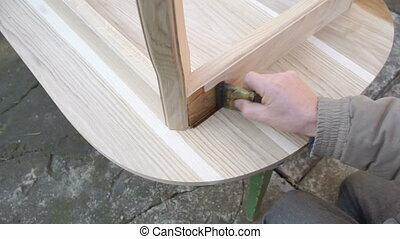 furniture making. 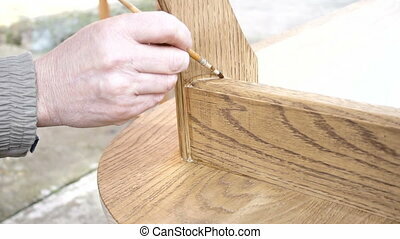 Close up nail painting with red lacquer. 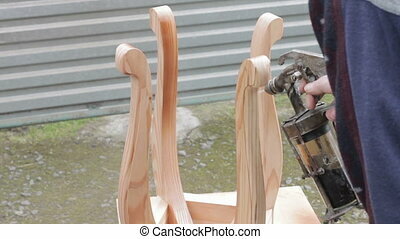 Manicurist is covering nails to woman by red varnish. 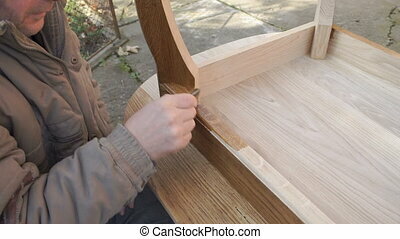 Master class of professional manicure in nail salon. 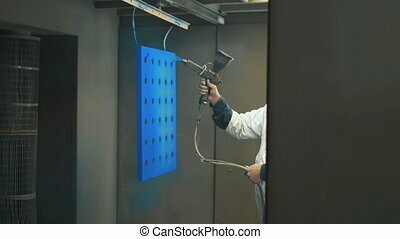 Painter covers a piece of metal with the second layer of paint in spray booth. 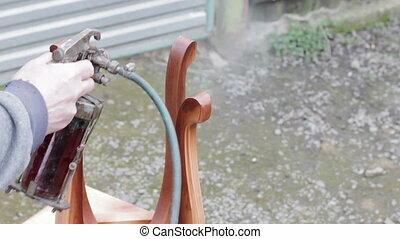 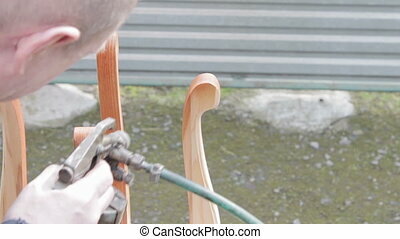 Painting process by spray gun for decoration work piece is shown.